Getting a traffic ticket is never great, but it’s particularly painful to receive one for something that could have completely been avoided. If you get pulled over for something that’s broken or not working right on your car, you’ll likely be getting a ticket with a hefty price tag attached. To avoid ever being put into this scenario, make sure to keep up with your vehicle repairs. With this in mind, our team here at Westbury Toyota has put together a quick list of common car issues that might lead to a ticket so that you can stay on top of keeping these items and parts in working order. Getting cracks in your windshield is unfortunately just a part of owning a car. One crack isn’t that big a deal, but when your windshield starts to develop multiple cracks you seriously need to consider getting it replaced. A badly cracked windshield is more than just a nuisance - it’s also a hazard as it obscures your vision. 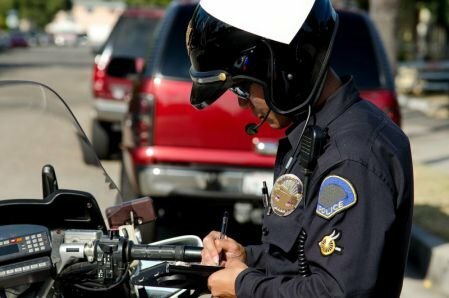 As Brady Klopfer of Your Mechanic points out, windshield laws vary from state to state, but why run the risk of getting a ticket with a big fine attached when it’s completely avoidable? Don’t put this simple repair off until it’s too late - get your windshield repaired as soon as it starts to limit your vision while driving. If you’ve ever taken a look at the back of your vehicle while it’s running at night, you’ll probably notice that there’s a light that shines on your license plate tag. This is to ensure that your tag is visible at all times. In the event that that light isn’t working, it’s actually a mechanical traffic violation that could result in you getting a ticket. Don’t wait until this is an actual issue - make it a habit to check that your license plate light is working every month or so. If it’s not, make plans to get it repaired as soon as possible. It should be pretty apparent that these lights are a crucial part of driving safely, so it’s imperative to make sure they’re all working as they should be. If you’d like to learn more about the traffic laws involving these lights in your state, take a look at the list of traffic laws put together by the editorial staff of Find Law. Your mirrors are another important part of driving safely, so it only makes sense that if they’re badly damaged or missing entirely, you’re likely up for a traffic ticket. This not only includes your side mirrors, but your rearview mirror as well. Be a smart and responsible driver by getting them repaired as soon as they show signs of being damaged. Don’t be the person that duct tapes their side mirror to his or her car. Instead, get it taken care of properly! If your rearview mirror happens to fall off its mount (which is actually quite common), there are numerous glue products out there made specifically to address this issue. It’s an easy fix, so there’s no need to book it into the mechanic if that’s the problem. On the other hand, if the mirror itself is broken, it may require a professional to put in a replacement. It’s easy to just ignore or put off repairs until later, but if you get pulled over and issued a ticket with a big fine, you’ll regret it. Don’t let that happen! Instead, take the time to make sure all these components on your vehicle are in working order and if they’re not, be sure to get them fixed. Doing so will mean that you’re driving safely and responsibly and what’s more, won’t lead to you getting a completely unavoidable ticket.